Peckham has been on London’s culture map since the early 2000s and continues to attract artists and art-lovers alike. For Photo London week it is home to Peckham 24, a photography festival with a series of exhibitions and events taking place over a 24 hour period. The festival aims to unite a network of local Peckham-based artists, galleries and curators with contemporary photographic works made in London and abroad. Something Curated took a trip south of the river to shine a light on some of the festival’s contributors. Born in England to Egyptian parents, El-Tantawy has lived in the West and Middle East. Her exposure to fusions of culture, geography and identity have acted as a source of inspiration but also anxiety; her photography contemplates what it means to search for home in two, potentially clashing, cultures. Shot exclusively on her iPhone, she captures abstract glimpses of life in multiple worlds – something that she refers to as a “photographic meditation”. Her poetic style is created using a minimal tool box and she relies on natural light, shadow and the elements to move the viewer across continents. Urban puddles pull the viewer into London, whilst coral skies and palm trees transport them to Cairo. A series of abstract cloudscapes pose a larger existential question about what lies beyond the physical or personal concept of home. 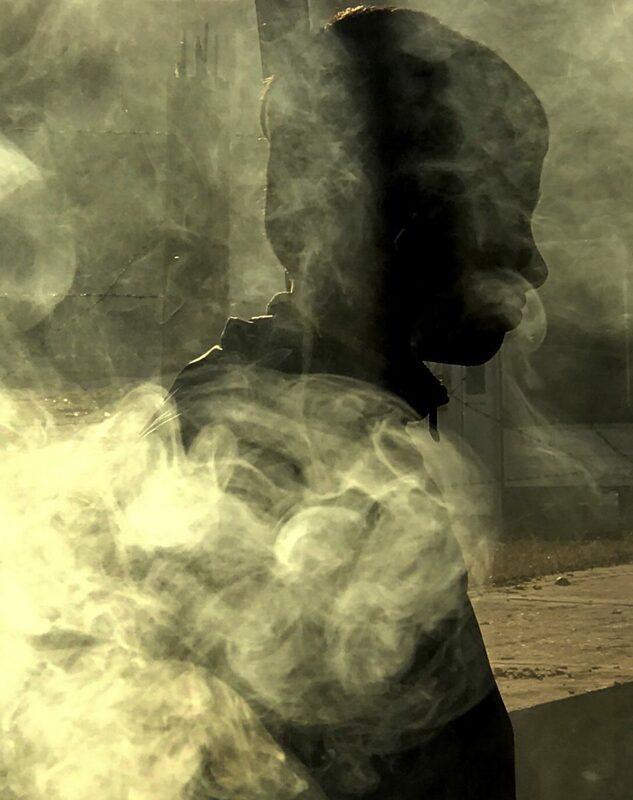 The Lost Head and the Bird is an immersive, multi-platform video projection by Indian artist Sohrab Hura. Curated by Iona Fergusson, and in collaboration with Wendy Marijnissen from Bending The Frame, the work pulls back the curtain on unsettling aspects of life in contemporary India. An overexposed image of The Lost Head flashes onto the screen, immediately disorientating the viewer, before repeated flashes slowly bring the whole image into view. A slideshow of Hura’s photographic works from his series The Coast are projected in quick succession, overlapping and repeating with increasing speed against crescendoing music. Hura creates a chaotic and disturbing world where lines between fact and fiction are blurred, and where racial, sexual and political violence is never far from the surface. Rhianne Clarke won Peckham 24’s open call for the Backroom Gallery at Holdron’s Arcade. Having lost her father to cancer last year, Clarke’s mother discovered a negative binder containing over 450 photographs that had never been seen and that the family didn’t know existed. Clarke’s curation of Many Rivers to Cross is a touching retrospective of her father’s photography and a poignant offering to his memory. 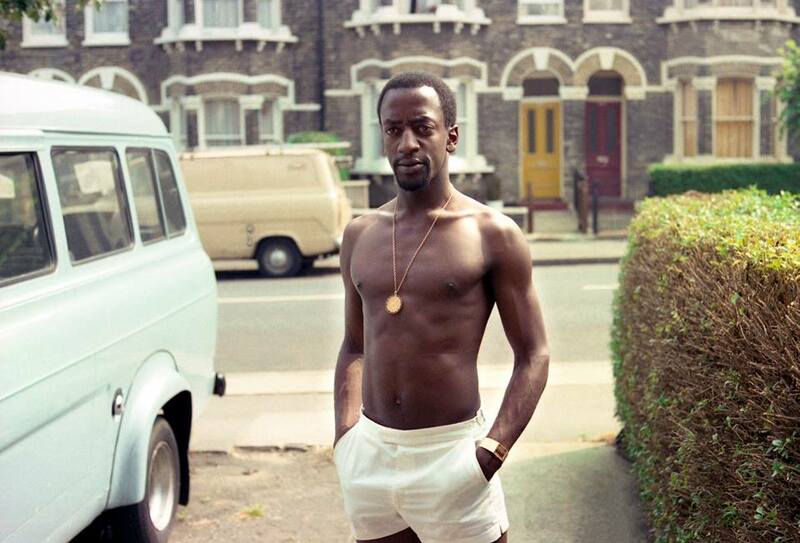 Taken during the 1970s and 1980s, the photographs were all taken in Peckham and East Dulwich, a tribute also to the area in which they are first seen on display. Featured imaged : © Laura El-Tantawy (Courtesy of Seen Fifteen).